It’s been a while since I did one of these. 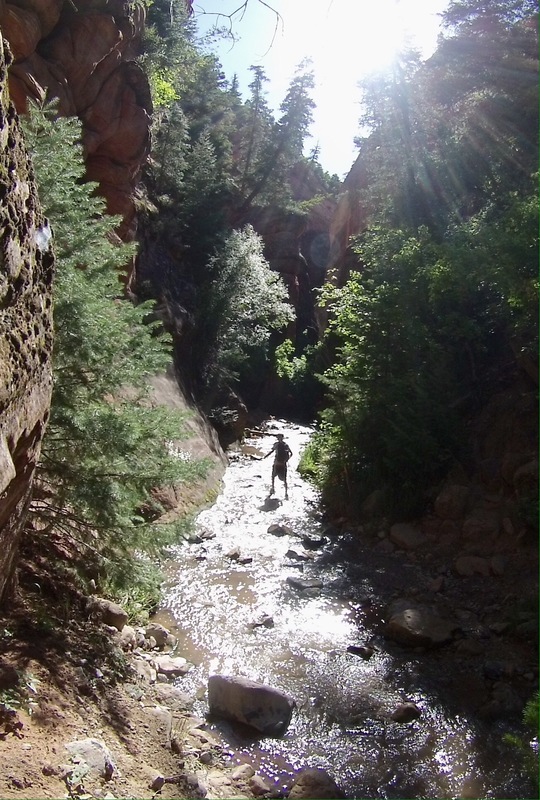 I take a lot of pictures when I go hiking. With digitial cameras, there’s really no reason not to. I remember the days of print film, when you were paying for every click of the shutter. 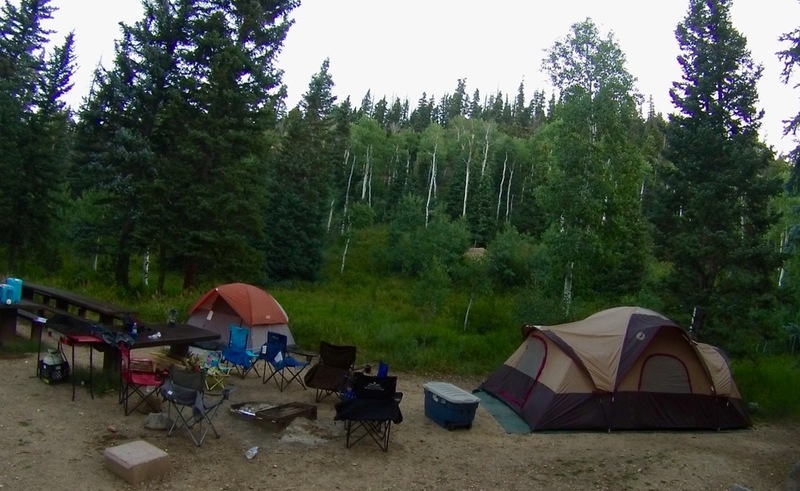 My trip last weekend involved a stay at a campground outside Cedar City, Utah that was absolutely one of the most beautiful campgrounds in Utah. 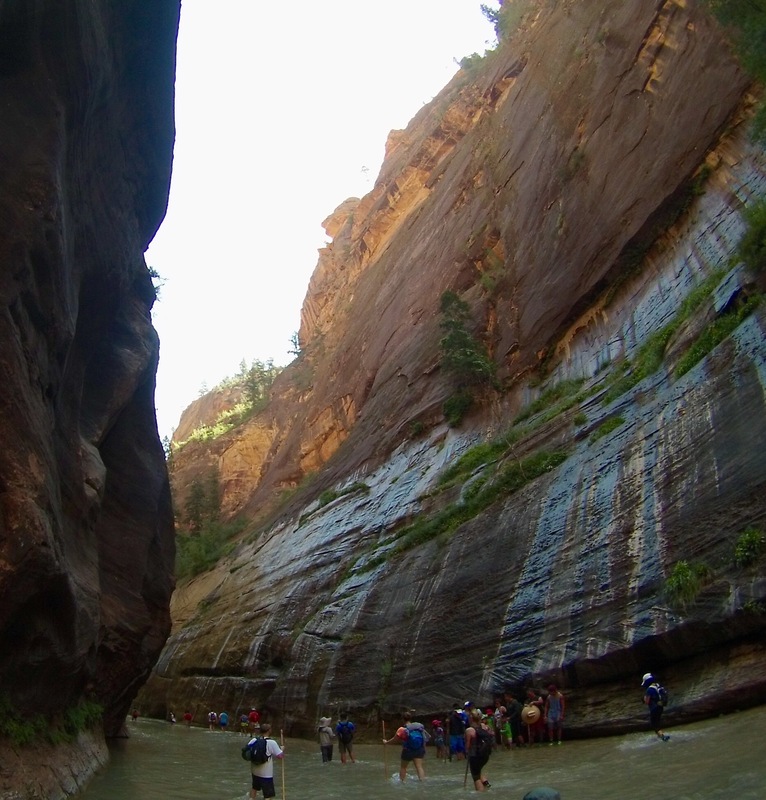 Then, we visited Cedar Breaks National Monument, Kanarraville Falls and finally The Narrows in Zions National Park. No, it didn’t rain. That’s called dew. 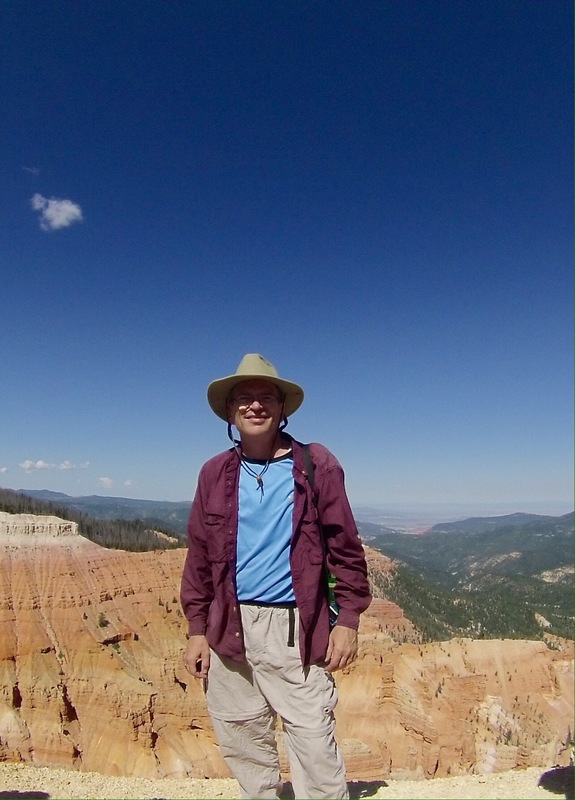 The next morning it was a short drive up the road to Cedar Breaks National Monument. The walk from the parking lot was only about 4 minutes. And the view was fantastic. Well, the view is good if that old ugly guy would get out of the way. Looking south you can see the area around Zions National Park. 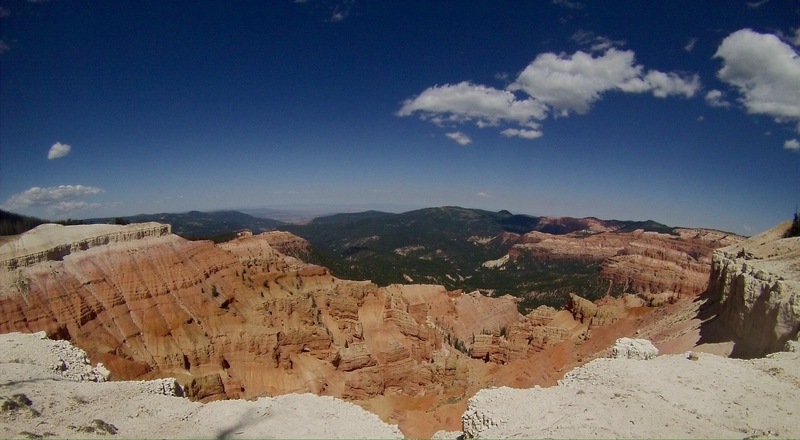 Cedar Breaks is home to some of the oldest living things on the planet. 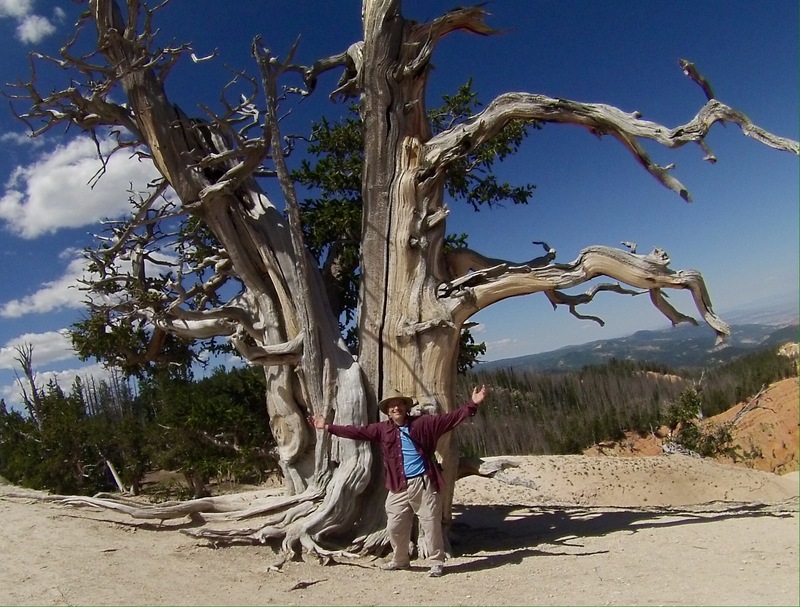 This Bristlecone Pine tree is 2000 years old. The guy in front only slightly younger. 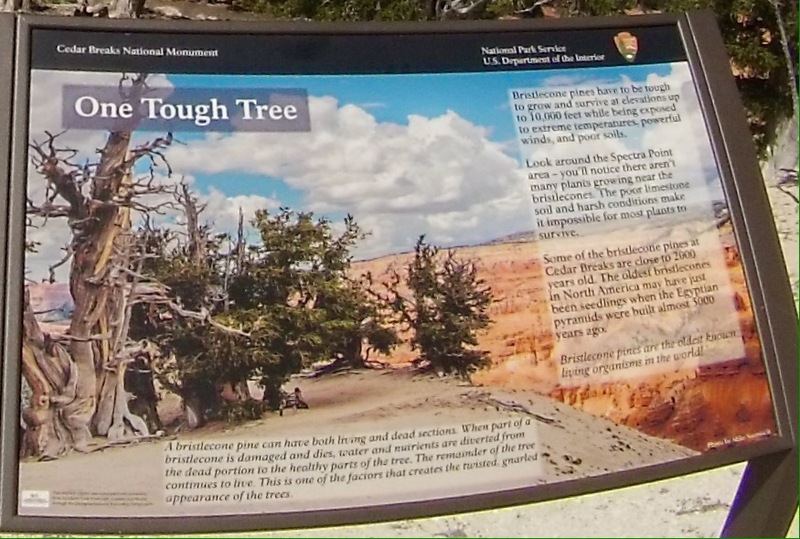 The Bristlecone pine has the ability to kill off portions of itself when it becomes sick or diseased. That allows the rest of the tree to continue to survive. 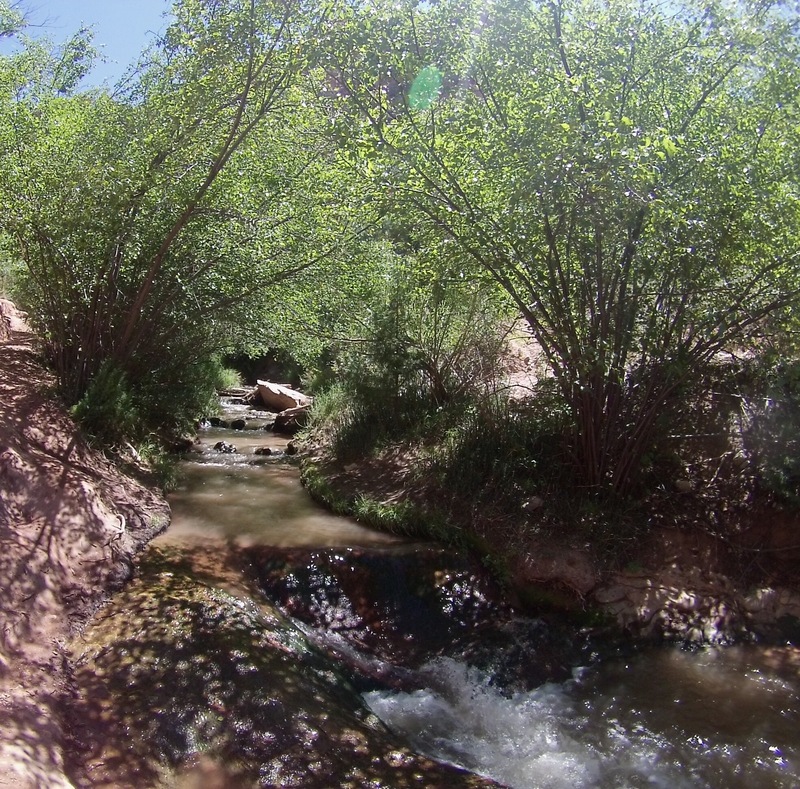 Next, it was off to Kanarraville Falls, just North of Zions National Park. 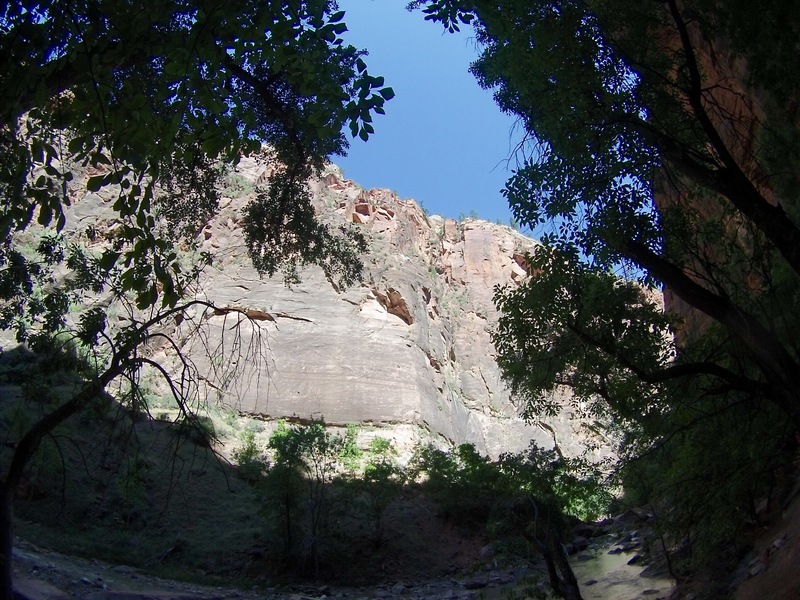 In previous years, we hiked Kanarravile on Saturdays, but it became too crowded at the falls, so we switched to Fridays. 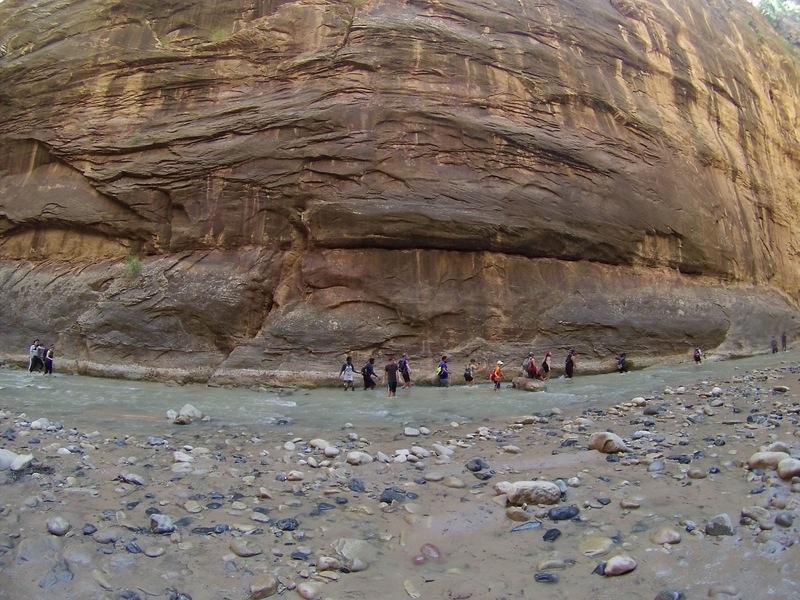 Like most slot canyons, the hike takes place largely in the water. 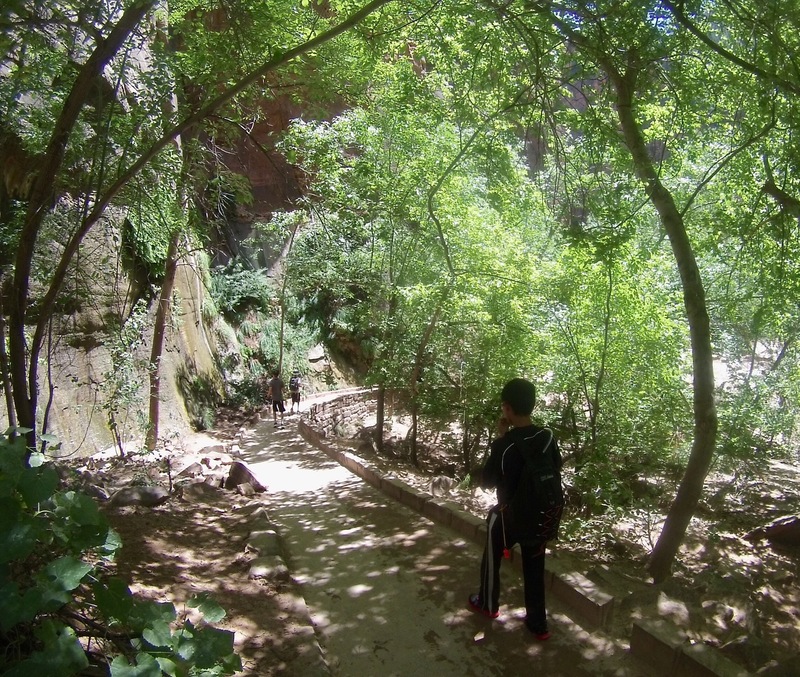 The entrance is green, but becomes less so the farther up the canyon you go. 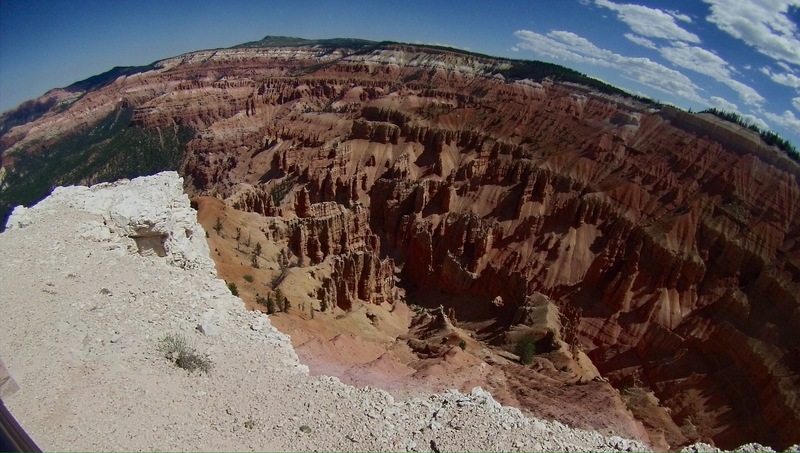 The red walls start to rise immediately when you get to the canyon. You soon leave the greenery behind and it’s just you and the water and those walls. The first falls has a “nice” ladder. We had no waiting on this hike. In previous years it’s not uncommon to wait here for 45 minutes on a Saturday for your turn to climb up. 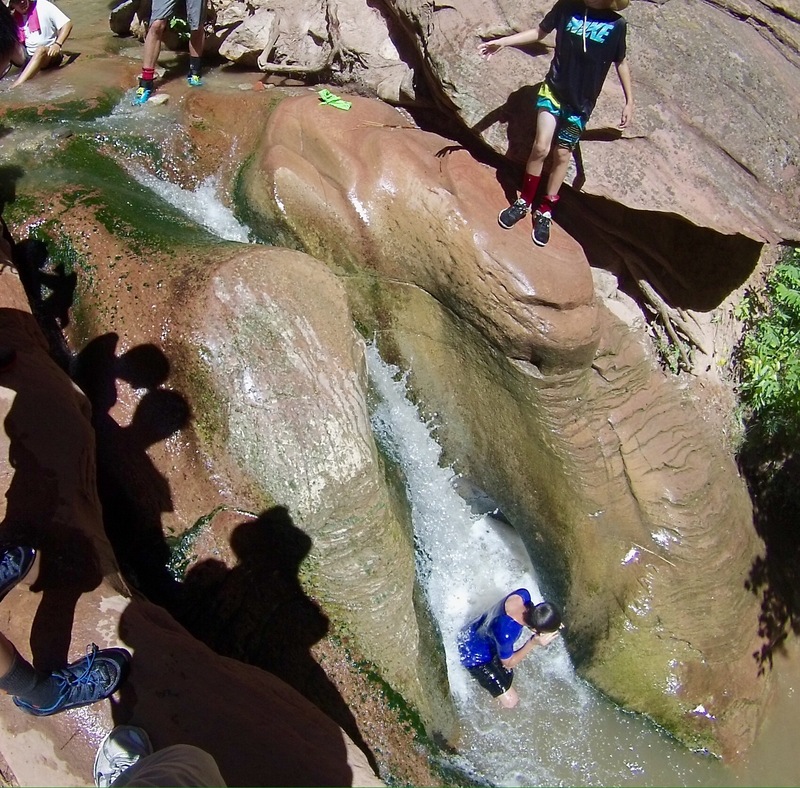 A couple of miles into the hike there is a natural water slide. 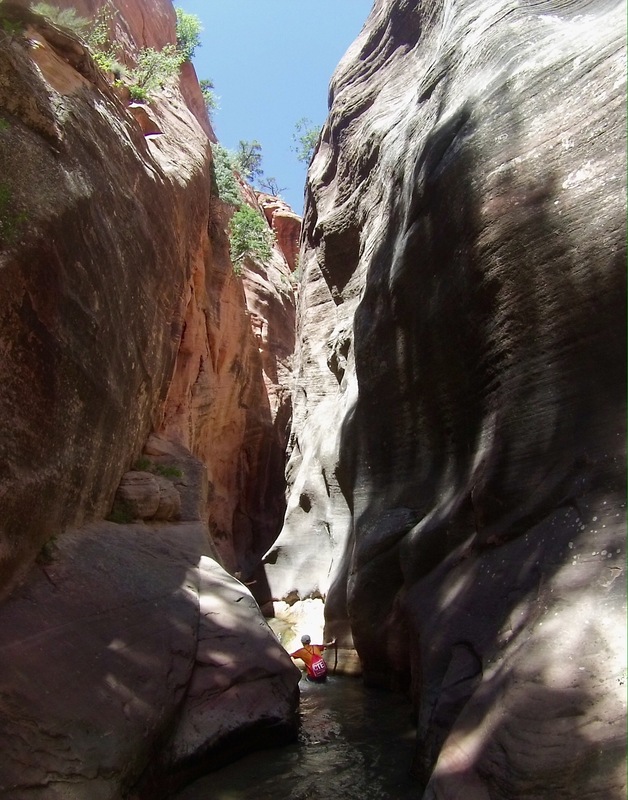 The higher you go, the more narrow the canyon becomes. 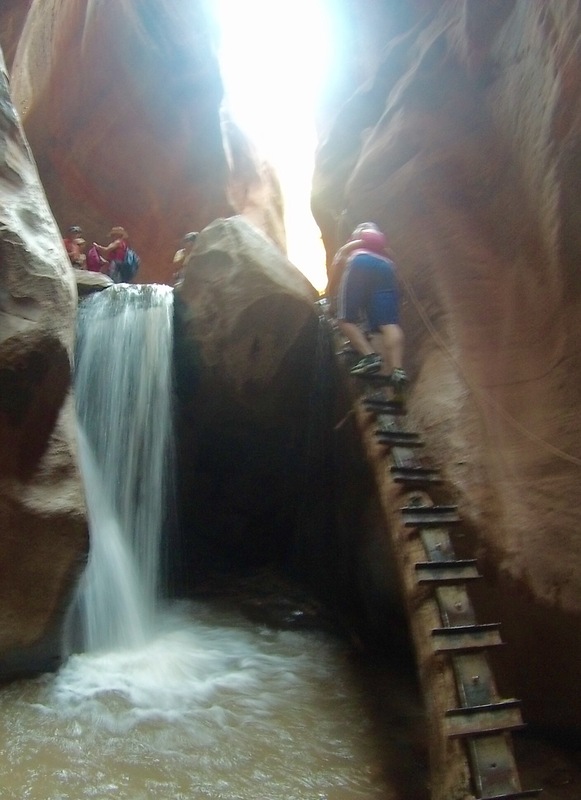 Flash floods are a real danger in these narrow spaces. The “ladder” at the second falls is basically a log and a rope. 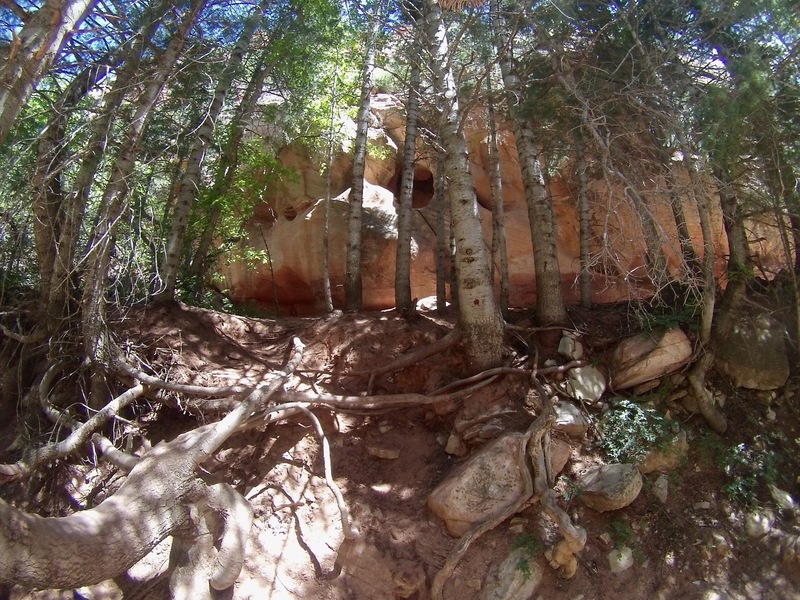 This being an “out and back” hike, you retrace your footsteps to come back down. 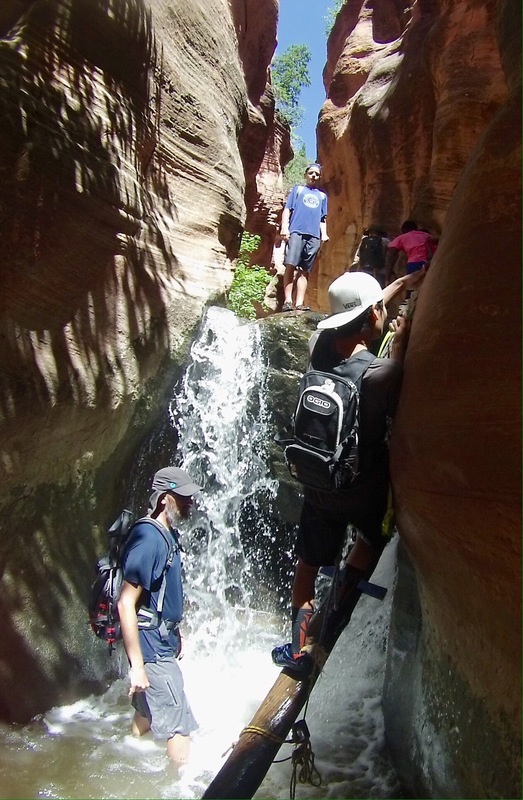 On Saturday we headed into Zions National Park to hike the Narrows. Utah is a desert and it shows in the barren landscape. 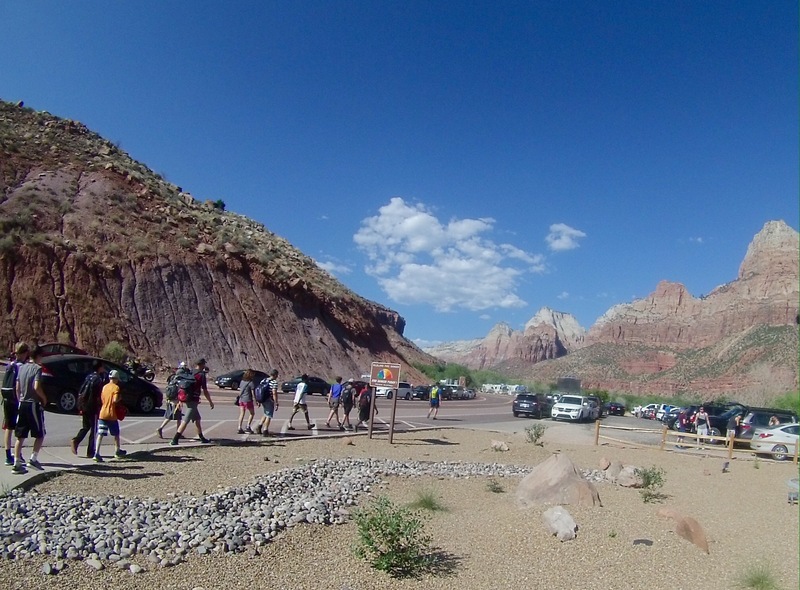 Zions is crowded, but they are prepared for the crowds. There are shuttle busses that take you to the various attractions in the park. 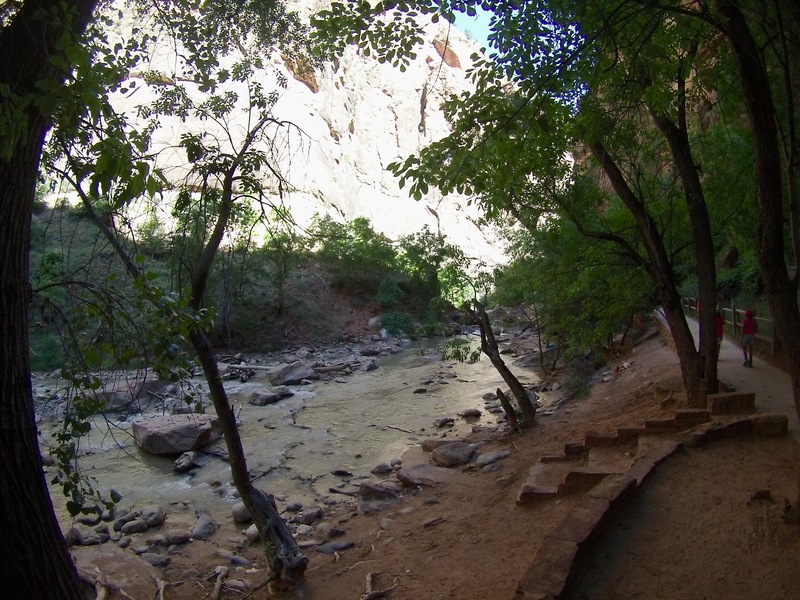 At the Temple of Sinawava, you can hike the mile long boardwalk to reach the Narrows. 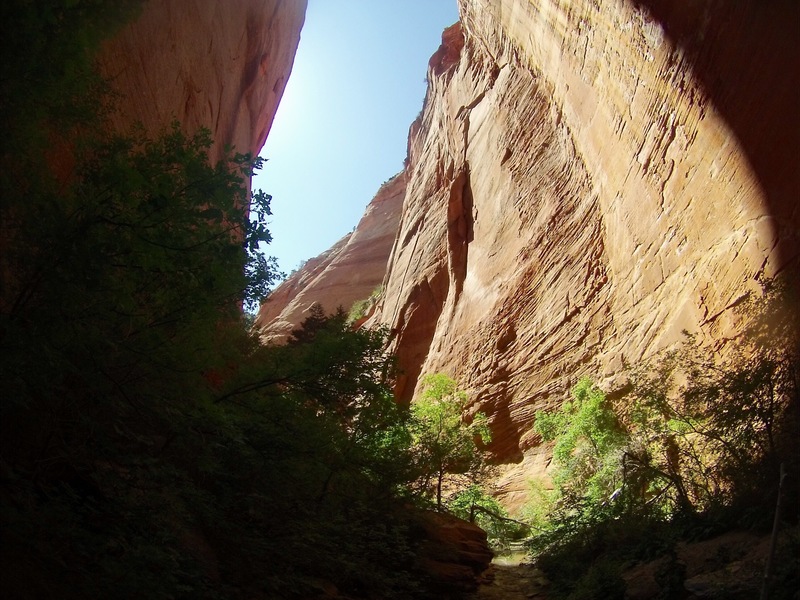 As tall as the walls are in Kanarraville, they are even taller in Zions. 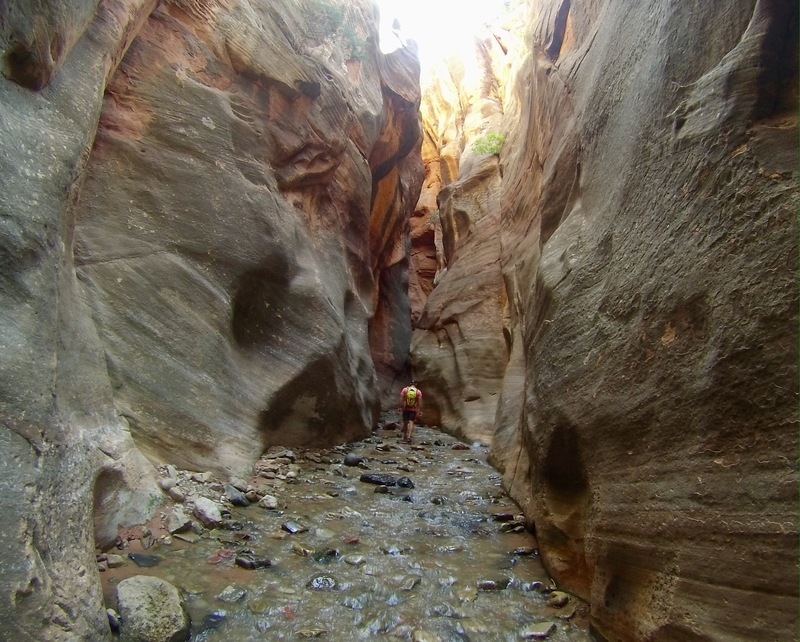 A walk at the mall is what it feels like when you start into the Narrows. Lots of people. The walk is almost entirely in the river from this point. The walls can be over hundred feet tall, and straight up and down. The walk back to the bus stop. 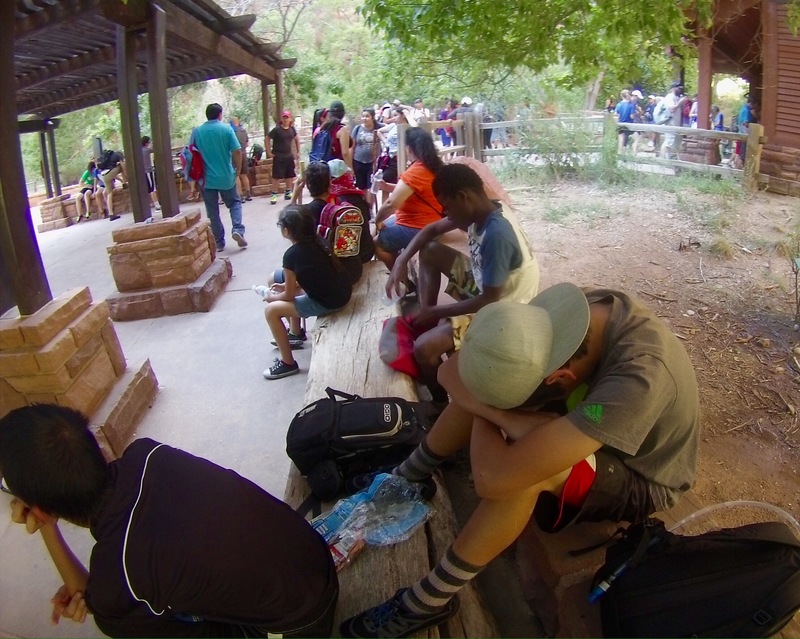 We had some tired boys at the end of the day. 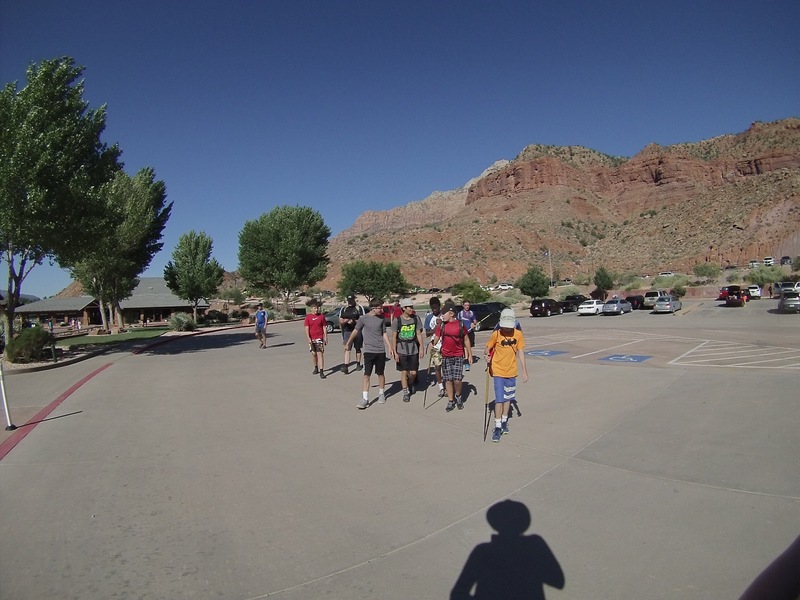 The walk back to the van and the end of a very enjoyable couple of days in Southern Utah.